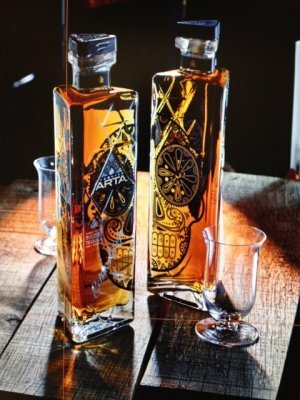 DENVER, CO -- Arta Tequila, a Colorado-­‐owned company, announced today the first batch of its five-­‐year aged Extra Añejo tequila is now available, on Cinco de Mayo, in numbered and signed bottles (only four batches, 1,000 bottles produced in each batch) at select retail stores throughout Colorado. One of the most unconventionally produced tequilas, Arta’s Extra Añejo is triple-­‐barreled (three years in American white oak, then split between French cognac and Spanish sherry barrels for another two years) and ultimately reunited, taking traditional tequila aging to an art form. Recently, Arta’s Extra Añejo took a silver medal in tasting and a bronze medal in packaging at the prestigious 2015 San Francisco Spirits Competition. Unlike several tequila companies, Arta only uses agave they grow on a single family-­‐run estate to ensure it is of the highest quality and pesticide free. Practicing land preservation farming methods and hand-­‐harvested by eleventh generation jimadors, Arta’s agave is slow-­‐ baked to maximize a high sugar content. After crushing the agave four times over to remove the juices, the third-­‐generation master distiller uses proprietary yeast from fruit extracts -­‐ unlike bread yeast used in other tequilas – and water from their private aquifer to craft Arta tequila’s unique flavor. Arta’s Extra Añejo is double-­‐distilled and aged in 180 liter barrels, providing a greater wood-­‐ to-­‐tequila surface area that imparts a richer wood flavor. Each individually numbered and signed bottle of Extra Añejo is hand-­‐bottled at 80 proof (40 percent alcohol by volume), and is characterized by its medium amber color with reflections and shades of copper. Aromas of toasted seeds, roasted cocoa, coffee and almonds with wild acorns, intense vanilla and oak developing into jasmine and intense cinnamon greet a taster’s first sip in the glass. The sweet, silky, rich Arta ultra-­‐aged taste confirms roasted seeds with its very long mouth finish. This limited reserve vintage pairs well with rich chocolate desserts or a quality cigar. Arta’s Extra Añejo will retail for a suggested price of $99 -­‐$115. Arta Tequila was purchased in 2011 by Mayer to honor his father’s legacy. The company is Colorado-­‐owned, but all products are handcrafted in the birthplace of tequila itself, Arenal, Mexico, a few minutes away from the town of Tequila in the Jalisco region. Arta’s Extra Añejo and other tequila products are currently available at Denver-­‐area locations including La Biblioteca, North County, Billy's Inn, Adelitas, Drunken Monkey, Mezcal, Highlands Wine Seller and Seasons 52 as well as in nine other states and four other countries. The company also crafts Silver, Reposado and Añejo varieties. For a full list of Arta Tequila cocktail recipes, awards, and retail locations visit www.ArtaTequila.com. 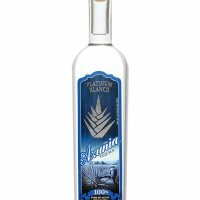 Arta Tequila is headquartered in Denver and crafts premium award-­‐winning tequila by pushing the limits of distillation and aging to an art form. From birth to bottle ™, Arta creates handcrafted tequilas that are as unique as those who drink them. Arta uses only 100 percent Blue Weber agave grown on a 250-­‐year-­‐old, single-­‐family run estate in Arenal, Mexico in Jalisco. For more information, visit www.ArtaTequila.com.